For 1 book - $12.95. Brave Little Bear Too Big Not to Share is book 2 in the Brave Little Bear Series. It is a resource to equip six-year-olds to pre-teen's with self -protective behaviours, which are fundamental life skills that will protect children for the rest of their lives. Brave Little Bear instructs children on safe touch, 'fear' feelings, online protection, keeping secrets and surprises, code words, body consent, what to do if something 'bad' happens and how precious they are. This resource is a vital tool for those who think that our children are worth fighting for- Family, educators or mental health professionals. This book helps to make those uncomfortable conversations much more comfortable. 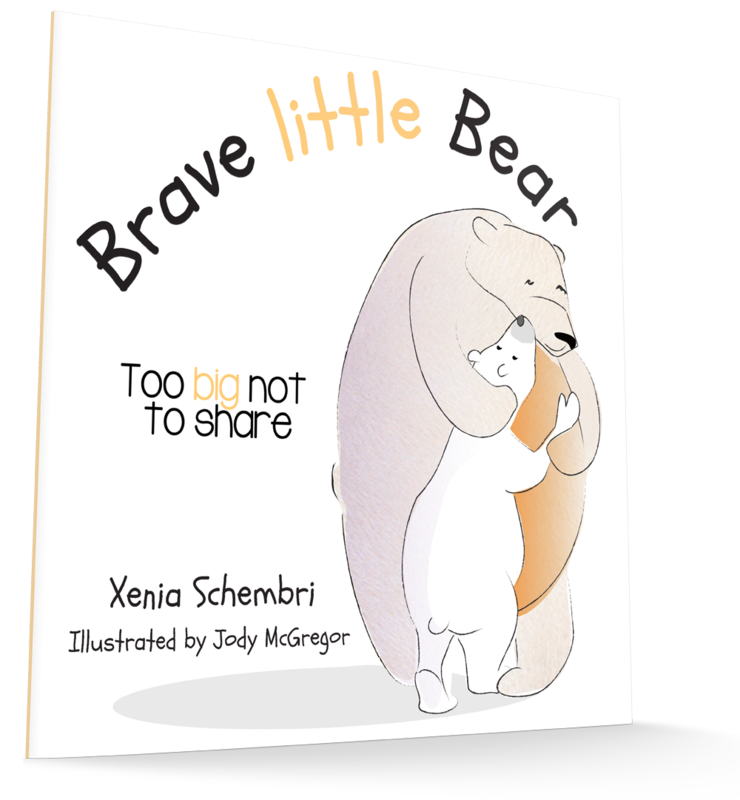 "A very insightful and informative read, Brave Little Bear Too Big Not to Share deals with a very difficult, uncomfortable and often taboo topic. This book delivers the message of awareness in an exceptional way for children. As a parent reading this myself I feel better equipped to have 'that conversation'. For the sake of the safety of all children, this is a must-have. Thank you, Brave Little Bear!" The beautiful simplicity of this book will give children an opportunity to become aware and connect with their internal world of feelings and responses in a healthy and protective way. Brave Little Bear - Too Big Not to Share' brings a message of hope and the possibility of change by educating children, including the very real challenges of cyber safety. It is a wonderful resource for anyone wanting to support children, families and the wider community who have been affected by sexual abuse. If you would like more information: blb@attheark.org.au for more information.